The Unit 2 Exam expects you to know about one biological explanation of a disorder other than schizophrenia: here, unipolar depression. You are also expected to understand a biological treatment for depression which is linked to these explanations. There's a strong biological link with depression, which seems to run in families. Elliot Gershon (1990) reviewed 10 family studies and found that the rate of depression was 2-3 times higher in first degree relatives of people with depression (their parents, siblings and children) compared to the general population. A biological explanation for depression is the monoamine hypothesis. Monoamines are a group of neurotransmitters that regulate mood; they include serotonin, noradrenaline and dopamine. Whataminute!!! Isn't dopamine linked to schizophrenia too with ﻿the dopamine hypothesis﻿? Why, yes. 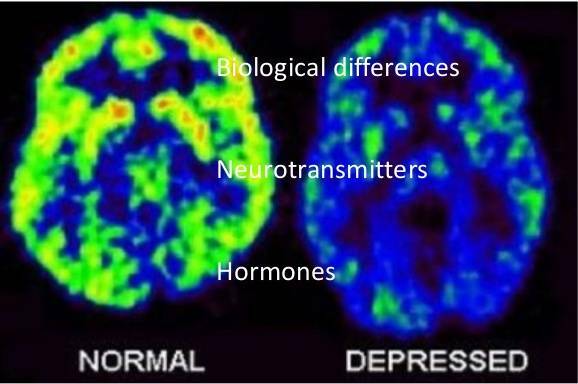 Neurotransmitters do lots of jobs and depression shares some symptoms with schizophrenia. Among the monoamines, serotonin is particularly important. One of its jobs is to regulate the other neurotransmitters. Without the regulation provided by serotonin, brain functioning becomes erratic. When serotonin levels are low, levels of noradrenaline drop and noradrenaline provides attention and reward. Low levels of noradrenaline are linked t a lack of pleasure. Low levels of serotonin causes dopamine levels to drop and dopamine is related to alertness and energy. Low levels of dopamine are linked to anxiety. High levels of serotonin would boost noradrenaline and dopamine, producing a hyper-alert and psychotic state of mind. This is linked to another condition called bipolar disorder - also known as manic-depression. Depressed mood states can be caused by low levels of noradrenaline or dopamine, but the main culprit is the serotonin, which is controlling the other two. A particular gene called 5-HTT has been linked to regulating serotonin levels. People with variations of the 5-HTT gene that are under-active seem more likely to suffer depression after stressful life events. Rosenthal's diathesis-stress model explains that a gene that produces a mental disorder can be "triggered" by a stressful environment. However, the problem might not be low levels of the neurotransmitters themselves. It might be a problem with the receptors that pick up the neurotransmitters when they cross the synapse from one neuron to another. If there aren't enough receptors - or if the receptors aren't working properly - this will have the same effect as a lack of the neurotransmitter. Research focuses on a chemical called monoamine oxidase A (MAO-A), which is a chemical that removes monoamines from the synapse. This is an important brain function called "re-uptake" that recycles neurotransmitters when they don't appear to be needed. However, if there is too much MAO-A in the synapse, it will remove monoamines that are needed, starving the brain of serotonin, noradrenaline and dopamine, leading to symptoms of depression. This is the basis for a lot of ﻿antidepressant drugs﻿, which inhibit (reduce) the activity of MAO-A. This leads to more monoamine activity and a reduction in the symptoms of depression. The MAO-A is like "Pac Man", gobbling up excess monoamines. Now imagine Pac Man out of control! You can compare this to the "synaptic pruning" explanation for schizophrenia. In both cases, a normal healthy process in the brain goes too far, producing unhealthy results. Recognising the genetic aspect of depression is important for people with a history of depression in their families. It alerts them that they are at higher risk of developing the disorder themselves. Based on this information, they could avoid stressful occupations or drug use that might trigger the condition. If the symptoms of depression are recognised early enough, then the disorder can be managed much more effectively. Understanding the link between schizophrenia and serotonin has led to the development of effective antidepressant drugs, like monoamine oxidase inhibitors (MAOIs), which inhibit monoamine oxidase A (MAO-A) and reduce depressive symptoms. These drugs only "mask" the symptoms of depression and have unpleasant side-effects of their own. The research into the 5-HTT gene offers hope that in the future therapies could “turn up” the level of serotonin in individuals who show early symptoms of depression, which would prevent depression from developing in the first place. However, this sort of cure is still a long way in the future. Because MAO-A is in fact a good thing that helps a healthy brain work efficiently - and because high levels of MAO-A seem to be linked to uncontrollable aggression - we must be very careful about interfering with this process. Twin studies and adoption studies show clear evidence of a genetic aspect to depression. This is because depression is more common in people who are related to depressives than in the general population. This applies even in the case of people who were adopted and didn't grow up around their depressed relatives (Wender et al., 1986). Research into the 5-HTT gene suggests the mechanism that may be at work. Excessive monoamine oxidase A would explain why the symptoms of depression appear after stressful life events and why the brains of people with depression show less monoamine activity, especially serotonin. The monoamine hypothesis is backed up by the beneficial effects of drugs which boost monoamine activity (flooding the synapse with monoamines) or inhibit monoamine reuptake (preventing MAO-A from removing too many monoamines). Similarly, drugs that specifically prevent the reuptake of serotonin (SSRIs) reduce depressive symptoms. Post-mortem studies of patients who committed suicide (eg Mann, 2003) show reduced levels of serotonin and an increased number of serotonin receptor sites (i.e. the brain was starved of serotonin and adapted by increasing its serotonin receptors to process as much of it as possible). The biological explanations are not complete explanations. For one thing, twin studies and adoption studies do not show 100% concordance in people with the same genes. This suggests that something non-biological is at work too, like the environment a person lives in. 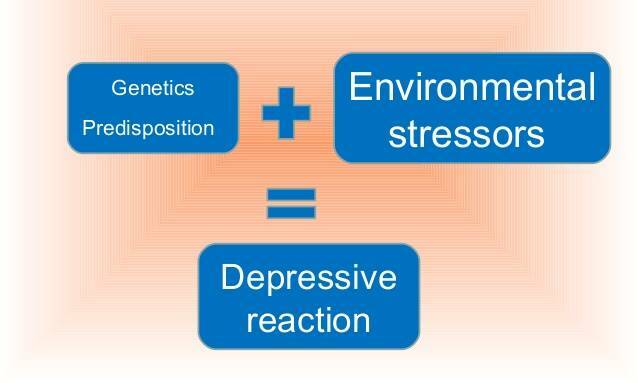 Genes may give a person a predisposition to develop schizophrenia but a trigger is needed to bring the symptoms out (this is Rosenthal's diathesis-stress model). Biological evidence is always in the form of an observed correlation and correlations do not show cause. This boils down to whether unusual brain activity (excessive MAO-A activity, low levels of serotonin) causes depression or whether depression causes unusual brain activity - or whether an unknown third factor is causing the brain activity AND the depression. Thase et al. (2002) found that depressed patients (especially those with severe depression) had increased levels of noradrenaline. This is the opposite of what the Monoamine Hypothesis predicts. Other post-mortem studies contradict the link between suicide and serotonin and, in any event, not all suicides are caused by depression. Antidepressant drugs do not work for all patients. These drugs increase the levels of the monoamines immediately but can take weeks before the depressive symptoms fade, which challenges a direct link between neurotransmitters and depression. 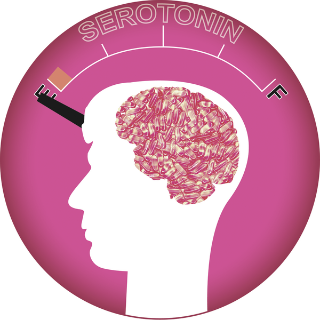 Other studies show abnormal serotonin function continuing after recovery from depression. This also suggests that there is not a clear-cut link between serotonin and depression. The entire biological explanation has been questioned by Irving Kirsch. In a 2008 study, Kirsch showed antidepressants to be little better than placebos (pills which look like medicine but actually do nothing). The focus on only biological factors ignores the role of psychological and environmental factors. For example, poor people are much more at risk from depression. Psychologists must consider more than one level of explanation; the biological explanation alone is too reductionist (simplistic). The biological explanation is deterministic if it claims that depression is inevitable in people with the wrong genes. However, the diathesis-stress model doesn't claim this. It only shows that these people have a predisposition (an increased risk). If a person reduces their risk factors, they can influence whether they develop schizophrenia or not. People with depression can use CBT to control their symptoms and function better. 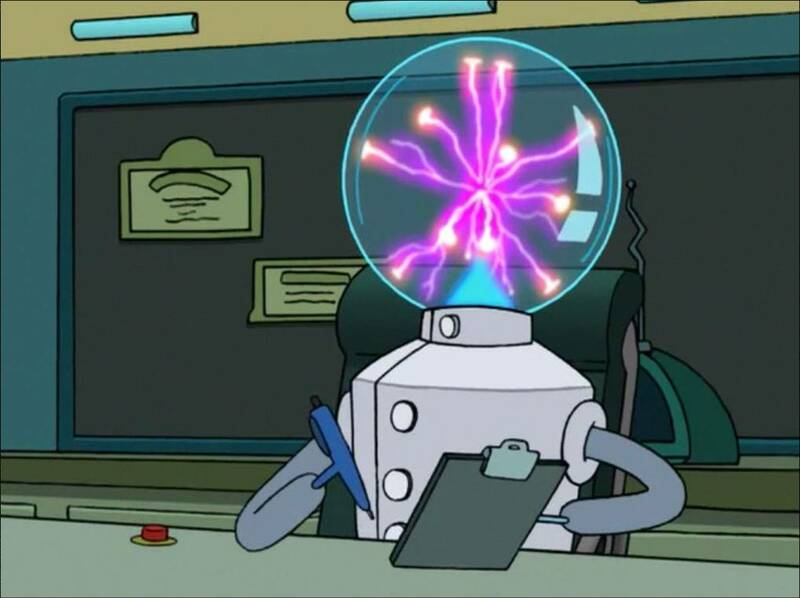 The biological explanation is often criticised for viewing people with depression as faulty humans with "broken brains" that need to be "fixed" by experts. The cognitive approach on the other hand recommends that people with depression can "think themselves healthier" by changing their beliefs and attitudes. It is more empowering. The biological explanation by itself isn't a complete explanation. It could be said to DESCRIBE depression in more depth without really EXPLAINING where it comes from, why some people have these problems but others don't. A similar criticism applies to the cognitive explanation, which describes depressive thought patterns but only offers vague ideas about why some people develop pessimistic explanatory styles or negative schemas but others don't. 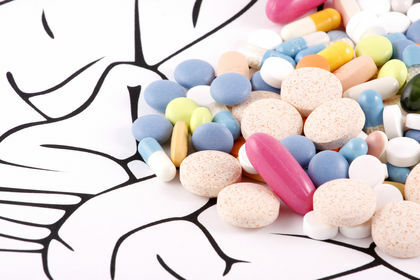 Biological explanations have led to the development of antidepressant drugs. However, these drugs do not work for all people who suffer from depression: 10-30% of people with severe depression do not respond to medication. The drugs also have unpleasant side-effects: lethargy (extreme sleepiness), weight gain, sexual problems and nausea. Critics in the Recovery Movement reject the biological explanation and the dependency on drugs, which they argue do more harm than good and only create profits for "Big Pharma" (the medical drugs industry). The recovery model recommends that people with depression stop thinking of themselves as 'sick', embrace their symptoms and learn to cope with them and focus on changing their lifestyle/outlook instead. A 8-mark “evaluate” question awards 4 marks for describing biological explanations of unipolar depression (AO1) and 4 marks for evaluating them with reference to treatment (AO2). You need a conclusion to get a mark in the top band (7-8 marks). Unipolar depression has a biological explanation because it runs in families. Gershon reviewed family studies and found people were 2-3 times more likely to get depression if a close family member suffered from it. Wender et al. found this also applied to people who were adopted and didn't grow up with their biological relatives. The gene 5-HTT is linked to depression because it regulates serotonin, which in turn controls the levels of dopamine and noradrenaline in the brain. These neurotransmitters influence mood. Monoamine oxidase A (MAO-A) controls the reuptake of neurotransmitters and if it is too active the brain will not get enough serotonin and depression may be the result. The biological explanation is supported by twin studies and family studies which show that there is a genetic link to depression that is separate from upbringing and environment. This means that people with a family history of depression should seek medical help if they experience even mild symptoms, because they are more at risk. Antidepressants called monoamine oxidase inhibitors (MAOIs) return MAO-A to its normal levels and restore a healthy balance of neurotransmitters in the brain. However, even though these drugs affect neurotransmitters straight away, it still takes weeks for the symptoms to fade, so this explanation is inadequate. The best treatment of depression will take into account environmental as well as biological factors and a treatment will change lifestyle as well as prescribing drugs. Notice that for a 8-mark answer you don’t have to include everything about the biological explanation of depression. You will notice I haven't mentioned serotonin reuptake inhibitors, the dangers of high levels of serotonin or the problems of reductionism or determinism. But it is a balanced answer - one half description and one half evaluation.